Buy your gifts and holiday essentials at smile.amazon.com and Amazon donates to The Sport Horse Research Foundation. 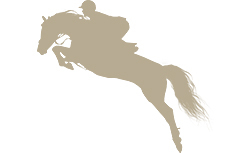 When you shop on AmazonSmile and select The Sport Horse Research Foundation as your charitable organization, Amazon will donate 0.5% of the price of your eligible purchases. Amazon only donate when you shop through https://smile.amazon.com/ch/81-3370168, so remember to bookmark that page. Help us create lasting change: start shopping and spread the word! The more money spent at AmazonSmile with SHRF in mind, the more money will be generated to support our mission. On behalf of the sport horses that will benefit from your gift, thank you! We most sincerely appreciate your support!